Red Candy turns seven this month! Woop! Cue cake, celebrations and a mega competition to boot! For the seven ripe old years we’ve been on the homeware scene, we’ve seen oodles of interior trends come and go (and not to mention the important real-life events we’ve witnessed. Like the return of Robot Wars…) And we’ve also changed a lot! When we launched in 2009, we were the world’s first red-only website. We’re not joking; literally every product we stocked was red! Well, it wouldn’t be a proper celebration without a cake would it?! We love our sweety logo printed by the Magic Candy Factory – who also happen to be at The Custard Factory! Thanks guys! 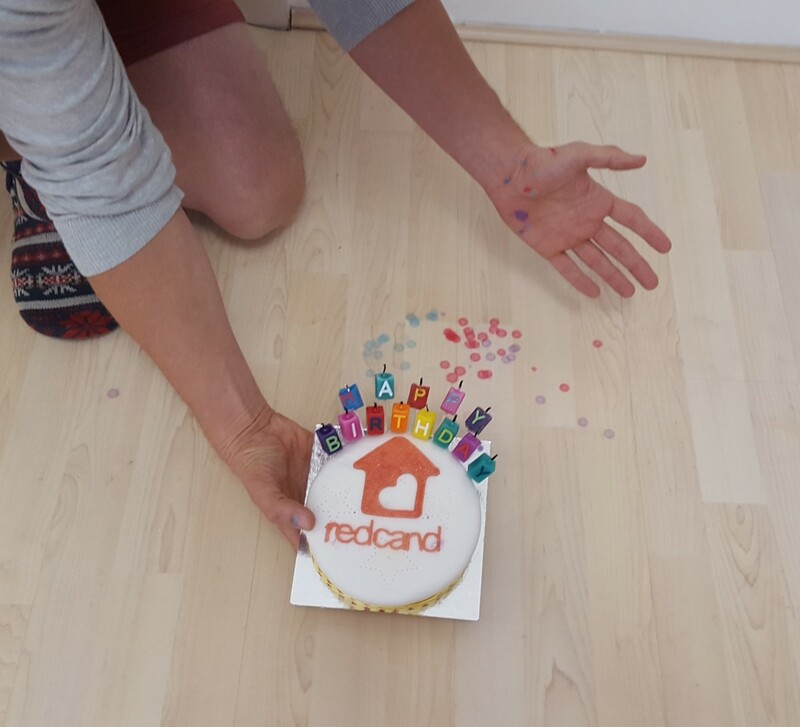 And as you can see from the photos, the candle wax has partially redecorated our office (as well as Andy’s arms…) Plus we’ve found a new use for Nessie! And such a wonderful occasion is a brilliant excuse for a mega competition! We are simple creatures at heart, and to be quite honest we rather liked the idea of giving away seven bundles of seven products on our seventh birthday! So, we’ve delved into the Red Candy goody bag, and handpicked seven of our favourite all-time best sellers – to create a mega bundle of Red Candy joy! And there are seven of them to give away – worth a whopping £215 each! We’ve chosen seven products which are representative of our colourful, quirky brand and our ‘Shut Up, Beige!’ ethos! Each of these products is completely unique and reflects the different trends we love, including retro, copper, and characterful! Plus there’s something to give every room in your house a splash of funky colour! The Cake is Big. It’s Red. It says “Paris”.